Readers of The Microbiome Snapshot know that we love to interview our customers and share what they learn from their research and clinical projects. Varinos Inc., an innovative biotechnology company based out of Japan, invited us to speak with them and learn about their unique work in the endometrial and vaginal microbiome. Recent research has shown the endometrial microbiota, the bacteria composition of the uterine lining, may influence female fertility and reproductive success. Using OMNIgene•VAGINAL microbiome kits for self-collection and stabilization of vaginal samples, Varinos is seeking to empower its customers and improve reproductive health. [DNA Genotek] Can you briefly describe your company? [Varinos] Varinos is a biotechnology company based in Tokyo, Japan and founded in 2017. Our goal is to empower people with knowledge of their genetics and microbiome in an effort to improve health. We focus on reproductive health through our Endometrial Flora Test. [DNA Genotek] What fertility areas are your services focused on? What is the primary problem(s) your services solve? [Varinos] The Endometrial Flora Test is a fertility screening test based on new insights from the endometrial and vaginal microbiota. The number of patients suffering from infertility is increasing yearly in Japan. About 420,000 cycles of assisted reproductive technologies (ART) were conducted in 2015. It is more than twice that of the United States. In Japan, one out of 20 children are born through ART treatment. The rate of successful pregnancy with ART is 30% on average, and it declines with maternal age. For example, the success rate at age 40 is only a few percent. Therefore, 85.5% of women who experienced ART want new tests to improve the pregnancy rate. In December 2016, a Spanish research team discovered a difference between the abundance ratios of good bacteria, Lactobacillus, existing in non-pregnant women versus women with a successful birth(1). Additionally, our collaborators reported that the endometrial microbiota of women who succeed in becoming pregnant by a single embryo transfer is dominated by Lactobacillus(2). We can easily imagine a role for Lactobacillus-dominant endometrial microbiota in suppressing the inflammation caused by pathogenic bacteria. We are currently collaborating with more than 50 clinics to understand the cause of infertility and improve pregnancy success rates. [DNA Genotek] What services does Varinos offer? What is your most popular service to date? [Varinos] We provide the Endometrial Flora Test that analyzes the endometrial and/or vaginal microbiomes of infertile patients. 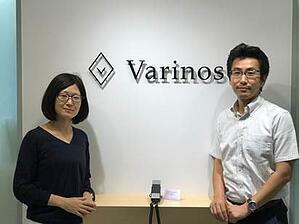 Microbiome analysis using next-generation sequencing (NGS) is conducted at the Varinos Shinagawa laboratory. In 2018, we reported the world’s first overview of the endometrial and vaginal microbiota of Japanese women who experienced in vitro fertilization (IVF) at the Kyono Art Clinic Takanawa(2). 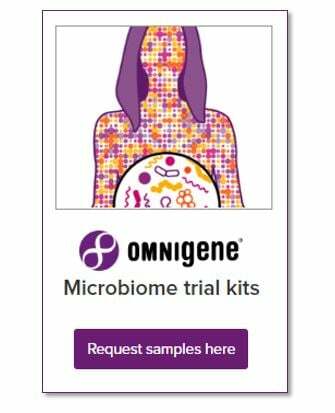 [DNA Genotek] Why did you choose the OMNIgene•VAGINAL kit to collect microbiome samples from your patients? [Varinos] We chose DNA Genotek's OMNIgene kit because of the stabilization properties of the solution, which provides a snapshot of the microbial profile at time of collection and is stable at ambient temperature for 4 weeks. If the microbiota is not stabilized at point of collection, we would need a special facility to handle the clinical specimens, which would be more time consuming and expensive. Since the specimens in the solution are stable, they are very easy to handle in any medical clinic and easy to transport by standard shipping. Another critical factor in our decision to use the OMNIgene•VAGINAL kit was the ease of use when it comes to the sample collection; an important aspect for our customers. [DNA Genotek] Please describe the sample-to-analysis process for your microbiome services. What role do you think the sample collection method plays in the process and in the quality of your results? [Varinos] The workflow of Endometrial Flora Testing consists of multiple steps. First, a physician collects vaginal fluid from infertile patients and places the specimens into an OMNIgene•VAGINAL collection tube. The endometrial samples are collected separately by the physician. Next, the physician sends the specimens to our laboratory where we extract and amplify the bacterial DNA for sequencing. Finally, bioinformatics analysis is conducted for the assessment of the microbial community composition. In our case, the sample collection method plays a critical role in the process and quality of our results. The OMNIgene•VAGINAL collection kit offers a fast, simple and reliable method for acquiring and maintaining the sample and allows us to concentrate on the interpretation of results. [DNA Genotek] What would you describe as your greatest successes and greatest challenges in this market to date? [Varinos] Our greatest challenge has been establishing a method to analyze low-biomass endometrial microbiota, since the uterine bacterial load is estimated between 100 and 10,000 times fewer bacteria than the vaginal one. NGS technology enables the identification of the full range of uterine bacteria, however, there is no well-established method. We analyzed over 3,000 clinical samples to improve our Endometrial Flora Test. While conducting this collaborative research, our greatest success has been to hear that previously infertile patients became pregnant due to interventions based on our test. We would like to thank Varinos for taking the time to participate in our blog – and we are very excited to continue to follow their progress in the future. We are proud to be associated with companies that are making a positive impact on patient’s lives. Moreno I et al. Evidence that the endometrial microbiota has an effect on implantation success or failure. Am J Obstet Gynecol. 215(6):684-703 (2016). doi: 10.1016/j.ajog.2016.09.075.